Mitt Romney ordered a Car Elevator to be installed in his La Jolla, California home to store his cars. The model he wants is the “Phantom Park” model, the same installed in the homes of actor Harrison Ford and singer Britney Spears. The cost of the lift, plus delivery and installation is about $55,000, which most may expect to be much more expensive. The car elevator is deemed a smart solution for those wanting a safe parking space for their vehicles, as well as those who have narrow streets which leave little space for parking. 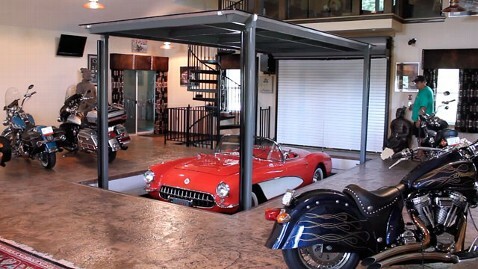 The lift will raise and lower his cars to a 3,600 square foot basement garage. Romney has plans to remodel the home first and both projects will take place after the November election, according to the Romney campaign.